Benches - LIVING AND CO.
HKliving Retro sofa executed in 2-seater version. 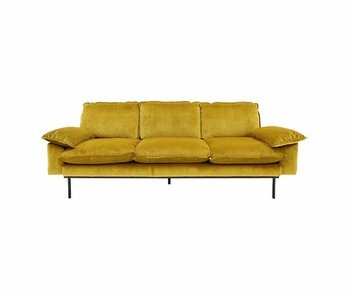 This beautiful HKliving Retro sofa is a true eyecatcher and wonderfully comfortable. Equipped with velvet fabric in ocher color with sturdy black metal base. The bank is made to order. HKliving Retro sofa executed in 3-seater version. This beautiful HKliving Retro sofa is a true eyecatcher and wonderfully comfortable. Equipped with velvet fabric in ocher color with sturdy black metal base. The bank is made to order. HKliving Retro sofa executed in 4-seater version. 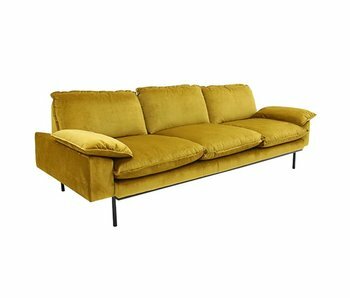 This beautiful HKliving Retro sofa is a true eyecatcher and wonderfully comfortable. 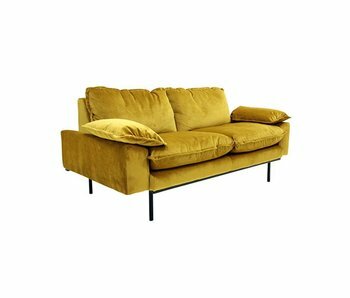 Equipped with velvet fabric in ocher color with sturdy black metal base. The bank is made to order. Beautiful HKliving Studio sofa executed in coral red. This Studio sofa is great in your interior! 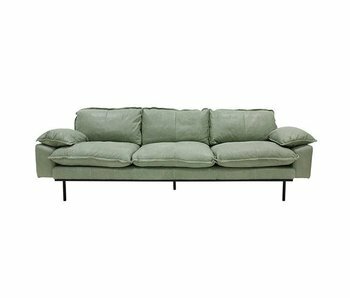 The sofa has a size of 140cm long, 78cm wide and 79cm high. How do you combine this bank? HKliving Cube bench executed in 4-seater version. This beautiful HKliving Cube sofa is a real eyecatcher and wonderfully comfortable. Equipped with an army green canvas fabric. The bank is made to order. HKliving Cube sofa executed in 3-seater version. This beautiful HKliving Cube sofa is a real eyecatcher and wonderfully comfortable. Equipped with army green canvas fabric. The bank is made to order. This beautiful HKliving bench is a real addition to your interior. 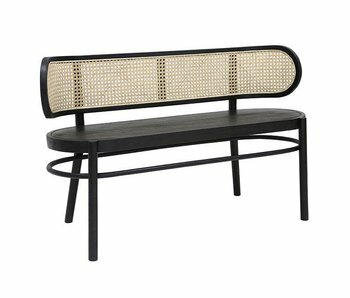 This black handmade HKliving webbing bench is made of wood and cane. Great to combine with the other items from the new HKliving collection! 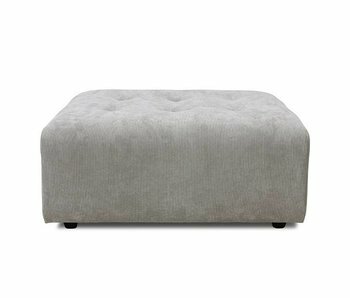 HKliving Vint element bench hocker. This beautiful HKliving Vint module is a real eyecatcher and wonderfully comfortable. With brown corduroy fabric. Combine this module with the other Vint modules to create a unique setup. HKliving Vint element bench module B. 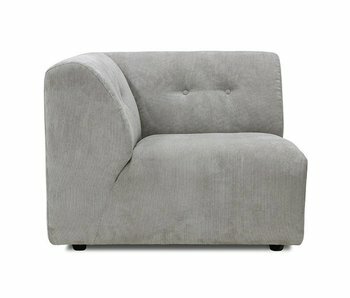 This beautiful HKliving Vint module is a true eyecatcher and wonderfully comfortable. With brown corduroy fabric. Combine this module with the other Vint modules to create a unique setup. HKliving Vint bench module C. This beautiful HKliving Vint module is a real eyecatcher and wonderfully comfortable. With brown corduroy fabric. Combine this module with the other Vint modules to create a unique setup. HKliving Vint element bench module A. This beautiful HKliving Vint module is a real eyecatcher and wonderfully comfortable. With brown corduroy fabric. Combine this module with the other Vint modules to create a unique setup. HKliving Vint element bench hocker. This beautiful HKliving Vint module is a real eyecatcher and wonderfully comfortable. Equipped with corduroy cream fabric. Combine this module with the other Vint modules to create a unique setup. HKliving Vint element bench module B. 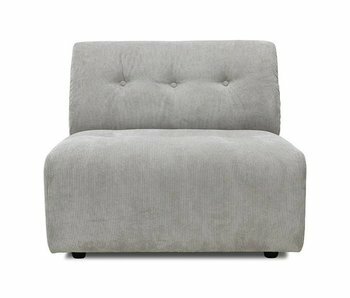 This beautiful HKliving Vint module is a true eyecatcher and wonderfully comfortable. Equipped with corduroy cream fabric. Combine this module with the other Vint modules to create a unique setup. HKliving Vint bench module C. This beautiful HKliving Vint module is a real eyecatcher and wonderfully comfortable. Equipped with corduroy cream fabric. Combine this module with the other Vint modules to create a unique setup. HKliving Vint element bench module A. 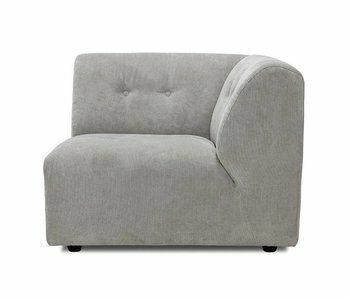 This beautiful HKliving Vint module is a real eyecatcher and wonderfully comfortable. Equipped with corduroy cream fabric. Combine this module with the other Vint modules to create a unique setup. HKliving Cube bench executed in 4-seater version. This beautiful HKliving Cube sofa is a real eyecatcher and wonderfully comfortable. Equipped with light gray canvas fabric. The bank is made to order. HKliving Cube sofa executed in 3-seater version. This beautiful HKliving Cube sofa is a real eyecatcher and wonderfully comfortable. Equipped with light gray canvas fabric. The bank is made to order. HKliving Cube bench executed in 4-seater version. This beautiful HKliving Cube sofa is a real eyecatcher and wonderfully comfortable. With velvet fabric in mustard yellow vintage look. The bank is made to order. HKliving Cube sofa executed in 3-seater version. This beautiful HKliving Cube sofa is a real eyecatcher and wonderfully comfortable. With velvet fabric in mustard yellow vintage look. The bank is made to order. HKliving Retro sofa executed in 4-seater version. This beautiful HKliving Retro sofa is a real eyecatcher and wonderfully comfortable. With mint green leather with retro look and sturdy black metal base. The bank is made to order. HKliving Retro sofa executed in 3-seater version. This beautiful HKliving Retro sofa is a real eyecatcher and wonderfully comfortable. With mint green leather with retro look and sturdy black metal base. The bank is made to order. HKliving Retro sofa executed in a 2-seater version. This beautiful HKliving Retro sofa is a real eyecatcher and wonderfully comfortable. With mint green leather with retro look and sturdy black metal base. The bank is made to order. 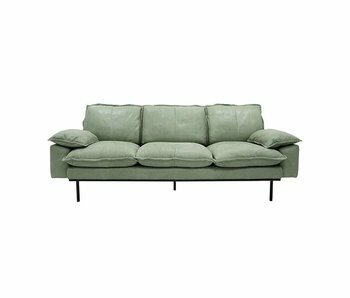 HKliving Retro sofa executed in 4-seater version. This beautiful HKliving Retro sofa is a real eyecatcher and wonderfully comfortable. Equipped with natural leather with retro look and sturdy black metal base. The bank is made to order. HKliving Retro sofa executed in 3-seater version. This beautiful HKliving Retro sofa is a real eyecatcher and wonderfully comfortable. Equipped with natural leather with retro look and sturdy black metal base. The bank is made to order.